Kiwi Bank is a New Zealand bank providing credit cards, everyday banking, mortgages, personal loans, insurance and investments. If you’re considering taking out a credit card with Kiwi Bank, make sure you check out Canstar’s latest Star Ratings for Kiwi Bank credit card products. Kiwi Bank’s Airpoints cards let you earn Airpoints Dollars, which are redeemable for travel-related rewards and discounts, while the Mastercard products offer low fees or greater rewards. 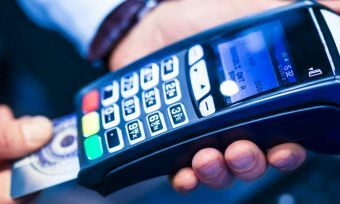 All come with contactless payments, allowing you to tap and pay for purchases under $80, as well as Microchip technology and Mastercard SecureCode for fraud and theft protection. You can even enjoy $11 Mastercard Wednesday Movie Deals! The Low Rate Mastercard is Kiwi Bank’s most affordable card, with a low annual interest rate making it great for everyday purchases. Interest-free days: Up to 55 days interest-free, if you pay off your entire balance in full by the due date. Kiwi Bank’s Mastercard Zero is a credit card with no account fee, making it great for those looking to save in the long term without too many purchases. Interest rate on purchases: 16.90% p.a. 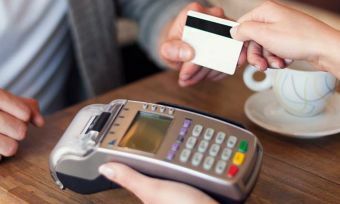 The Mastercard Gold is a more expensive credit card, which allows you to make bigger purchases more conveniently, as well as providing you with complimentary travel insurance. Interest rate on purchases: 17.90 % p.a. Overseas travel insurance: Complimentary when you use your card to buy your return tickets, accommodation, pre-paid transport (including a rental car) or a pre-paid tour. Cover for up to 40 days, including spouse and children; see the policy for more details. For customers who travel frequently and recognise the value of Airpoints, the Low Fee Mastercard represents an affordable entry into this world. 1 Airpoints Dollar for every NZD$160 spent, or for every NZD$140 spend on Air New Zealand products bought directly from Air New Zealand; 1 Airpoints Dollar for every $1 spent on an Air New Zealand flight; Airpoints never expire. Kiwi Bank’s Airpoints Standard Mastercard gives you more Airpoints Dollars for your money, along with complimentary lounge passes if you make enough purchases. 1 Airpoints Dollar for every NZD$120 spent, or for every NZD$100 spend on Air New Zealand products bought directly from Air New Zealand; 1 Airpoints Dollar for every $1 spent on an Air New Zealand flight; Airpoints never expire. The Airpoints Platinum is an upgrade version of the previous card, with a better Airpoints Dollar earning rate and complimentary insurance. It also earns Status points, which allow you to upgrade your Airpoints membership status to Silver, Gold or Elite, each of which provides more exclusive Air New Zealand benefits. 1 Airpoints Dollar for every NZD$75 spent, or for every NZD$65 spend on Air New Zealand products bought directly from Air New Zealand; 1 Airpoints Dollar for every $1 spent on an Air New Zealand flight; Airpoints never expire. If you satisfy all of the above criteria, you can apply online for a credit card through Kiwi Bank online banking if you’re an existing customer – just log in, then go to Apply to make it happen. If you don’t already use Kiwi Bank, you can apply on the website. You can also visit a Kiwi Bank branch to apply in person. If you don’t currently have a Kiwi Bank account, you’ll also need to provide a valid photo ID. Read our checklist on applying for a credit card for a more detailed explanation of how the process works. How do I activate my Kiwi Bank credit card? After receiving your card, you can activate it online by logging in to either online banking or the Kiwi Bank mobile app, and following the prompts. Can I manage my Kiwi Bank credit card online? You can manage your Kiwi Bank credit card through online banking. By logging in to Kiwi Bank’s online banking service, you can make and receive payments, pay your bill, access statements and transaction details, and view all of your accounts to see how much you owe. How is interest calculated on my Kiwi Bank credit card? Interest is charged on purchases when you carry a balance on your Kiwi Bank credit card, and is charged on cash advances from the date of withdrawal. Interest is calculated daily on your outstanding balance, and charged to you monthly on your regular statement. Depending on which card you go for, either 44 days or 55 days interest-free apply to Kiwi Bank credit card purchases, as long as you have paid the balance in full for the previous month’s statement and for the current month’s statement. What will my credit limit be on my Kiwi Bank credit card? Your credit limit for your Kiwi Bank Visa credit card will be determined based on the information you provide in your application, keeping in mind the minimum credit limits available for each card, which are detailed above. 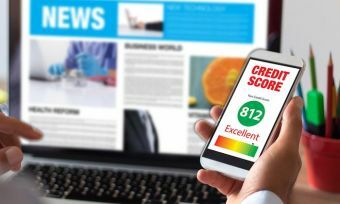 If your credit history is good, you’ll likely be approved for a higher credit limit, and vice versa. Find out more about how credit limits are determined here. If you wish to change the credit limit on your card, you can easily do so by loging in to online banking, clicking on your credit card account and going to the ‘additional options & details’ section. How do I close my Kiwi Bank credit card account? You can close your Kiwi Bank credit card account at any time by sending a written request to your Kiwi Bank branch. Your card balance will need to be repaid in full even after the card is closed, and you will continue to receive monthly statements until your card balance is fully repaid. If you’re cancelling your credit card with Kiwi Bank because you’re struggling financially, contact its financial hardship team to find a potential solution. Kiwi Bank is a fully New Zealand-owned bank, which has existed in its current form since 2002. Having initially started in New Zealand Post Shops, the bank now has more than 800,000 customers across the nation, a number that is increasing fast. Kiwi Bank employs more than 1,000 staff across 250 post shops, making it far more accessible than traditional banks with traditional hours. The bank is committed to social and corporate responsibility, with a particular focus on providing affordable finance to first-home buyers, sustainable energy systems and Maori land development. Kiwi Bank is also a major backer of responsible microfinance, having partnered with Good Shepherd Microfinance to help grow the sector. The bank also established the Nga Tangata Microfinance Trust, which provides no-interest loans and debt relief loans through a network of budget advisers in Waikato.